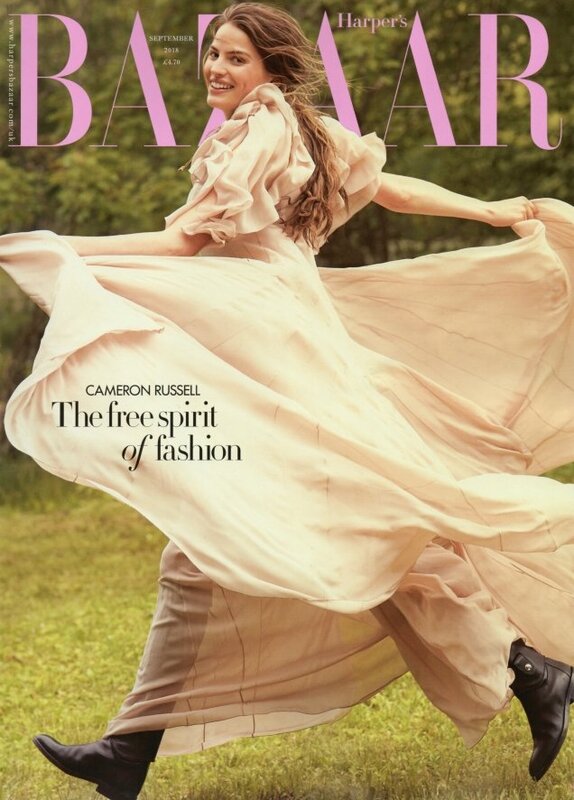 Our forum members often complain about how much British Harper’s Bazaar seems to rely on the British countryside ideal, tirelessly shooting covers and fashion stories on location. 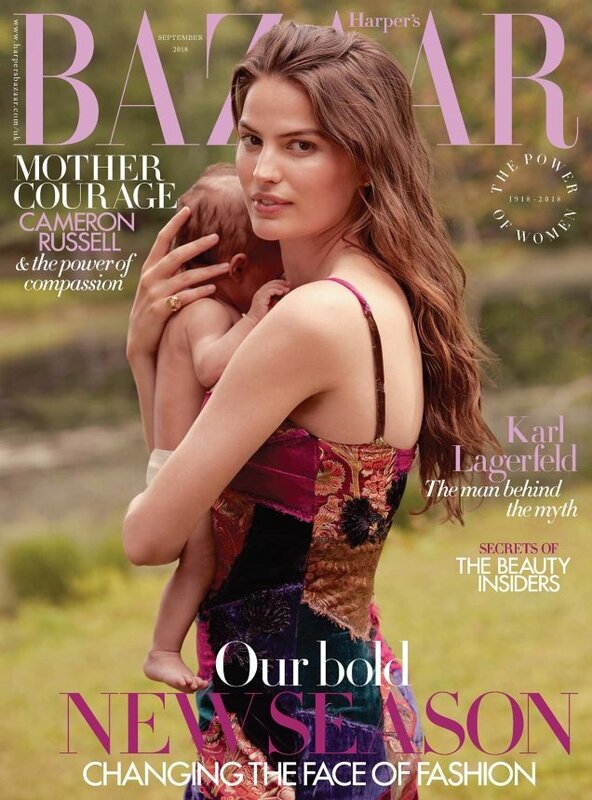 Unsurprisingly, the magazine hasn’t strayed from its go-to aesthetic for the September 2018 cover starring Cameron Russell, who cradles her baby son in the heartwarming newsstand cover (after the jump) wearing Ralph Lauren. Photographed by Will Davidson and styled by Miranda Almond, it was the special subscribers cover (below), which pictures the American model and activist jumping for joy dressed in a silk Valentino dress and a pair of Hermes leather boots that really caught the attention of our forum members. And not because they liked it. “What is up with that styling? It looks she was wearing her casual clothes and was made to fit the dress and twirl. Bam. Cover. Also, she doesn’t look proportionate,” pointed out MON upon checking out the cover. “OMG, it’s simply terrible! Prairie/Amish realness. It’s the dress, coupled with the angle which made her look like she’s got no neck,” voiced Benn98. “Cameron is beautiful – but that looks like a country house bed sheet that hasn’t been washed for the last hundred years of its life,” tigerrouge mocked. “This magazine is as clueless as Tatler, they could be supplements to each other now. I know they have a market and sell well in it, but each issue is more irrelevant than the next,” Miss Dalloway said. Forum member 8eight agreed. “UK Harper’s Bazaar is turning into a parody of itself, no? One shoot by Eric Madigan Heck on location in Scotland. Check. One shoot in a stately home. Check. A celeb/famous model on location. Check. It’s just ticking boxes. Yawn yawn yawn,” he expressed. Are you feeling it? See what else Bazaar‘s latest has to offer and join the conversation here.